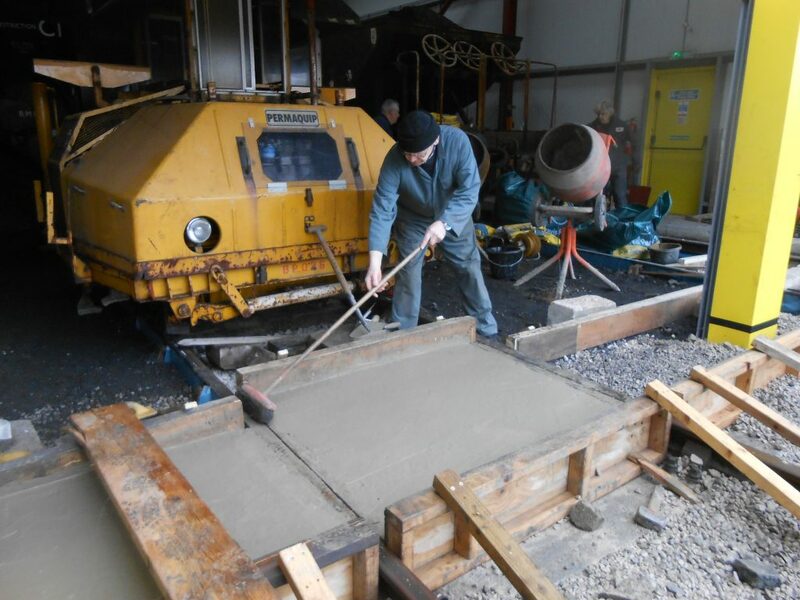 The Christmas Dinner last Tuesday evening ensured that the gang was well fuelled on Wednesday morning to undertake the task of concreting the base of the eastern end doors to roads three and four of the shed. 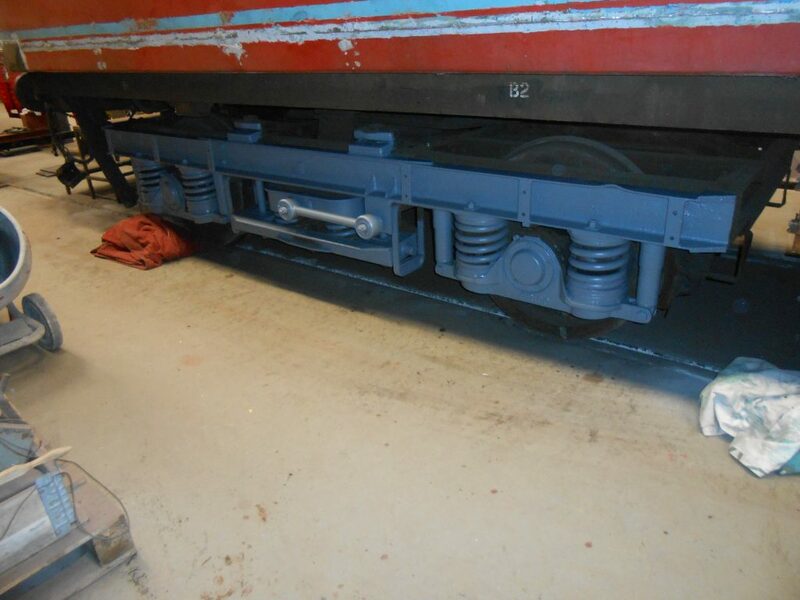 After more materials were requisitioned on Thursday, the job was finished on Friday morning and it should be possible to remove the shuttering this Wednesday. 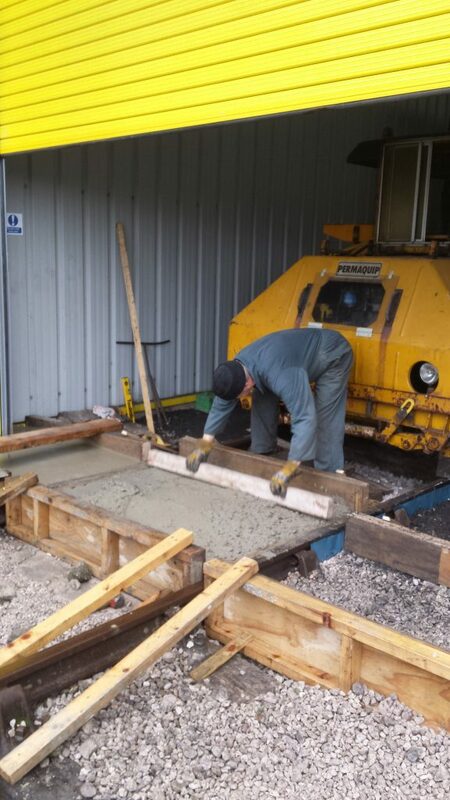 The photos show the gang concreting and John Dixon levelling off and then brushing off the finished concrete. 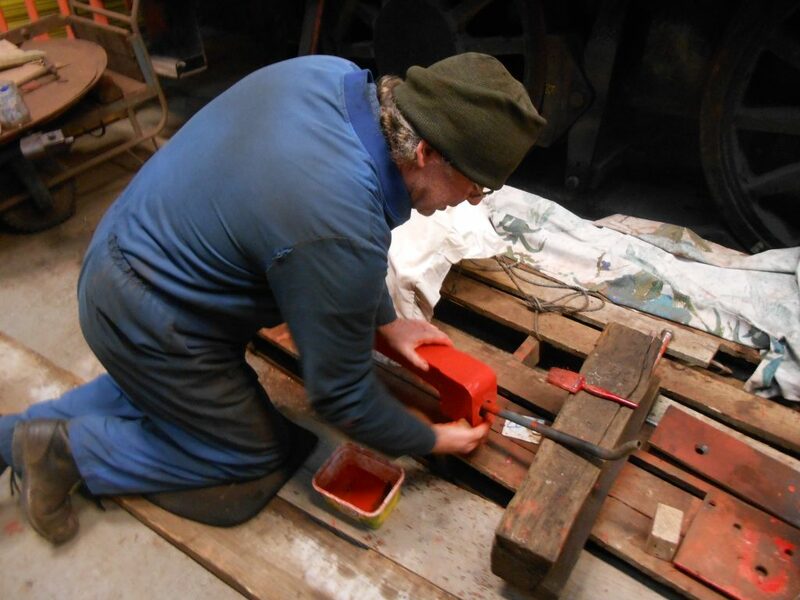 Tim continued the long task of filling and sanding the north side of the RSR’s TPO vehicle on Wednesday and then Fred and Roger spent Friday painting one of the headstocks and a bogie side. 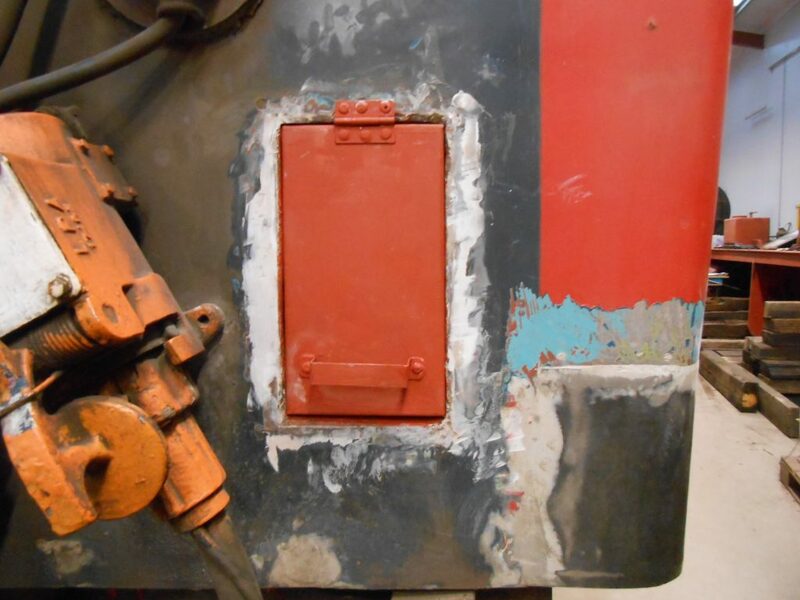 Staying with the TPO, the new water filler cover has now been fitted. 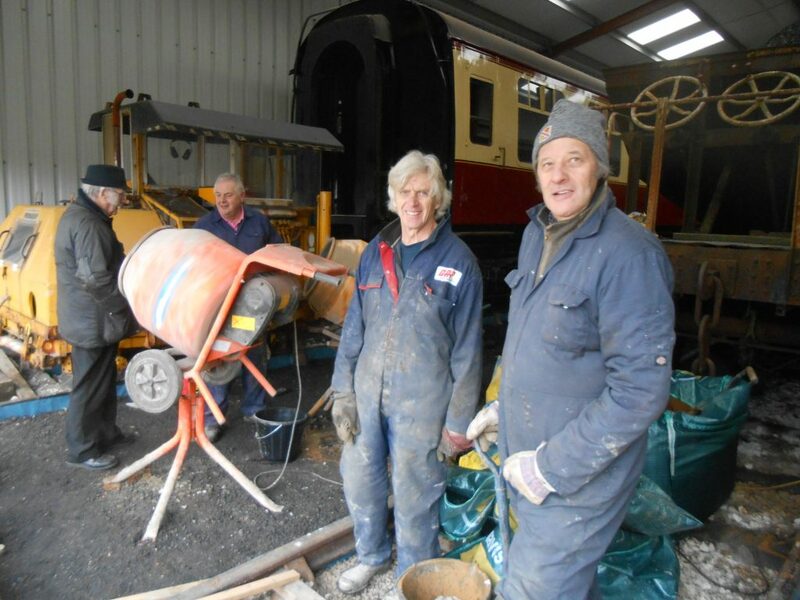 Adrian is continuing to work on Caliban‘s motion and Howard is seen here fettling one of the loco’s new sand box covers. 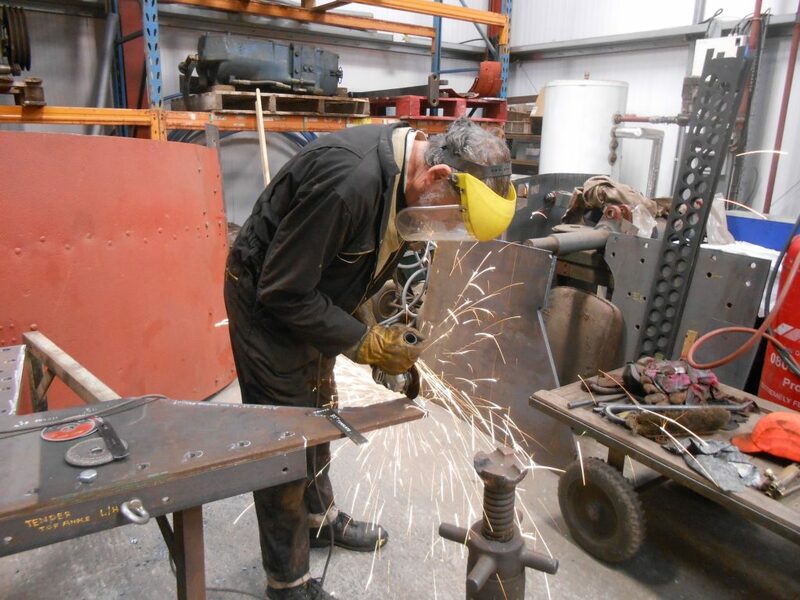 Keith has been undertaking some more metalwork on Wootton Hall and was joined on Saturday by George to prepare the new extension pieces for the tender frames for welding. The next edition of The Iron Horse magazine has now been proof-read and will hopefully be back from the printer this next week. Plenty of good reading for members over Christmas! 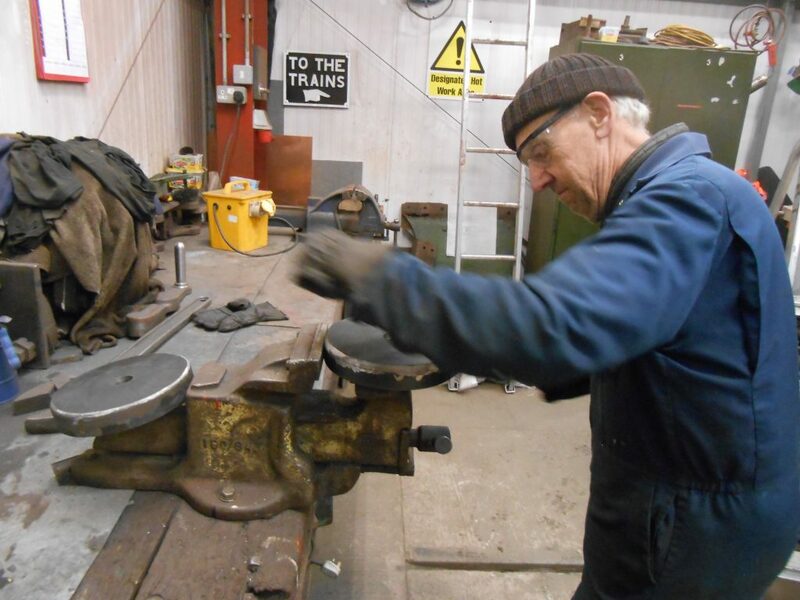 With all the work currently in hand, the Christmas rest period at Preston is now planned to be rather short – just Christmas Day and Boxing Day..! Normal working parties will resume on the Wednesday after Christmas!